Learning to Wailua SUP board is easy and most everyone can start paddling in just a few minutes. It doesn’t take much to get started, just a little helpful advice and some basic equipment then you’re ready to start paddling. Learn all about stand up paddle boarding and how it started, plus some helpful tips and SUP gear guides for beginners. Below you can find everything you need to know to get out on the water and have a safe and fun paddle. 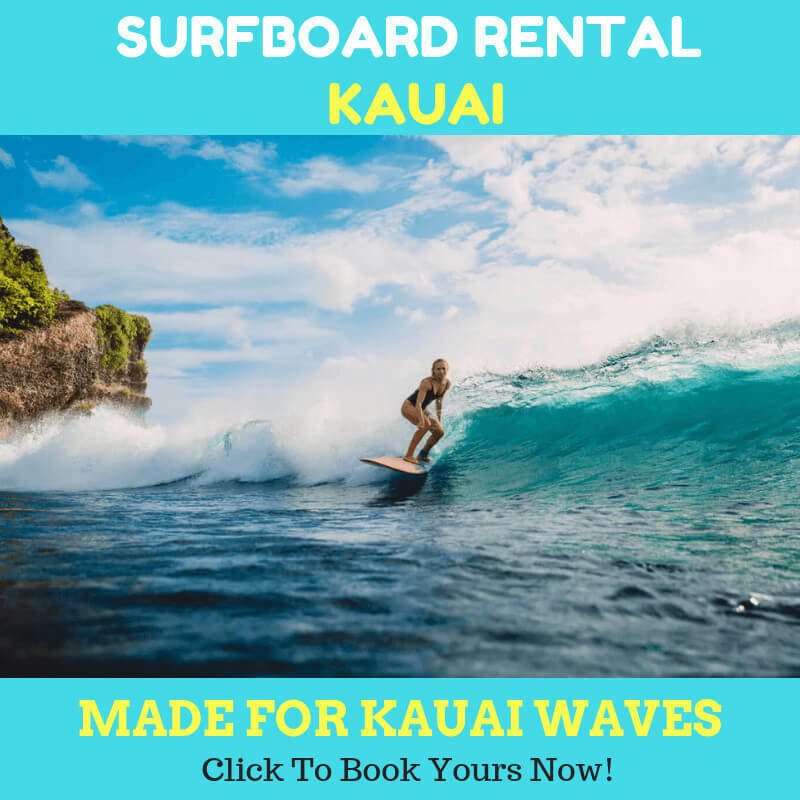 All around stand up paddle boards – also known as Recreational Wailua SUP – are boards that are versatile in all conditions. We offer three different types of constructions, each designed for beginners to advanced paddlers. These boards are designed to perform well in both flat water and rough conditions. Each of these boards is stable, easy to paddle and perfect for even first-time paddlers. Light Construction offers a lighter, stiffer, and cleaner looking board that is 30% lighter than comparable models. Inflatable stand up paddle boards are the most durable, portable and versatile SUPs we offer. They are constructed with a military grade outer skin that is ding-resistant and can withstand daily abuse – without causing any damage. Inflatable SUPs are ideal for families, rentals, boaters, and especially travelers because they deflate and roll up to the size of a sleeping bag. The SUP race scene has gotten more popular – and so has our race board. This performance designed board was constructed to have a combination of fast sprint speed and long glide efficiency which is perfect for flat water races, down-winders or open ocean competitions. If you are serious about training or exploring, this ultra-fast and versatile race SUP is perfect for elite and recreational racers alike. 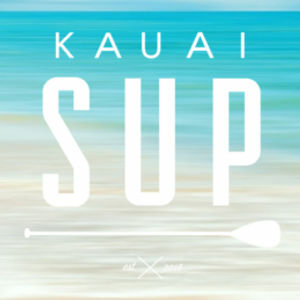 Touring Stand up paddle boards, also known as Fitness Wailua SUP, are designed for long distances and maximum glide in a variety of conditions. These boards have a displacement hull which cuts through the water, making long paddles more efficient. In addition, each of these boards has been specially constructed to generate more speed and stability in rougher waters to perform and track better than standard, all-around shapes. 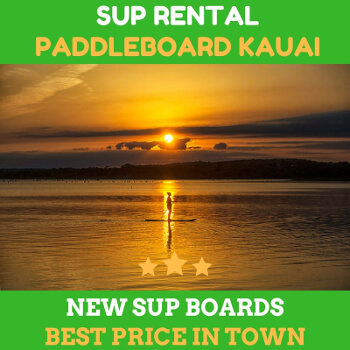 SUP Surfing is another niche of standup paddle boarding, we offer a variety of SUPs that will perform well in all surf conditions. These boards are designed for small wave SUP-surfing and have all the features you need to shred in small to medium waves. We offer a variety of Surfing SUPs for beginner to intermediate paddlers. Stand Up Paddle board – Paddle boards come in all shapes and sizes. The most common construction method is epoxy and fiberglass wrapped around an EPS foam core, with one or several fins to help the board track in the water. A standup paddle board is much thicker than your average surfboard. Paddle boards typically range from 8 to 12 feet in length, 28 to 32 inches wide, and 4 to 5 inches thick. If you’re just starting out, the best thing to do is select a wider, longer, thicker board. This type will offer the greatest stability to learn the paddleboard basics on a flat body of water. As you gain experience, you can progress to a much smaller board. Paddle – Stand Up Paddles come in a variety of constructions, from plastic, aluminum, wood, and carbon fiber – all with a variety of handle, blade and shaft shapes. The general rule is that a paddle used with your paddleboard should always be 6 to 10 inches above the height of the paddler. Size your paddle on the longer side for flat water use and the shorter side for use in the surf. The blade is typically bent at a slight angle to the shaft to allow for more forward reach when taking a stroke. Leash – A sup leash keeps your paddle board attached to you with a Velcro strap around your ankle (or calf) that is attached to the paddleboard. Leashes come in a variety of sizes, and the general rule is to use a leash around the same size or slightly smaller than your board. In the event of a fall, currents and winds can quickly sweep your paddle board away from you – and in the ocean, your board becomes a lethal weapon when carried with the force of an ocean wave. Always remember to use your leash! Board Bags – The majority of dings and blemishes happen outside of the water – usually in transportation or storage. Board bags will remove that dilemma and conveniently aid in traveling, as well as add years to your board’s life. PFD (personal floatation device) – If you use your stand up paddle board beyond the limits of a swimming , surfing, or bathing area requires you to have a USCG-approved life vest. Always grip the paddle with one hand on the top of the paddle and the other on the center of the shaft. Hold the paddle in front of you, with your elbows bent at 90 degrees. This should give you comfortable spacing for paddling. When it comes to learning to paddle surf an “All Around” shape is usually a great shape to start on especially in smaller surf. The extra stability will allow you to paddle into the wave with confidence and the length will help your glide as your gain speed to enter the wave. Once on the wave an All Around shape will be very stable under the feet. While bigger is usually considered better for first time paddlers you might want to consider a smaller board for surfing. You will most likely want a Wailua SUP that is as small as possible while still being stable enough for you to balance on. If you are headed for the surf you might want to borrow a slightly smaller board from a friend if possible and give it a try. 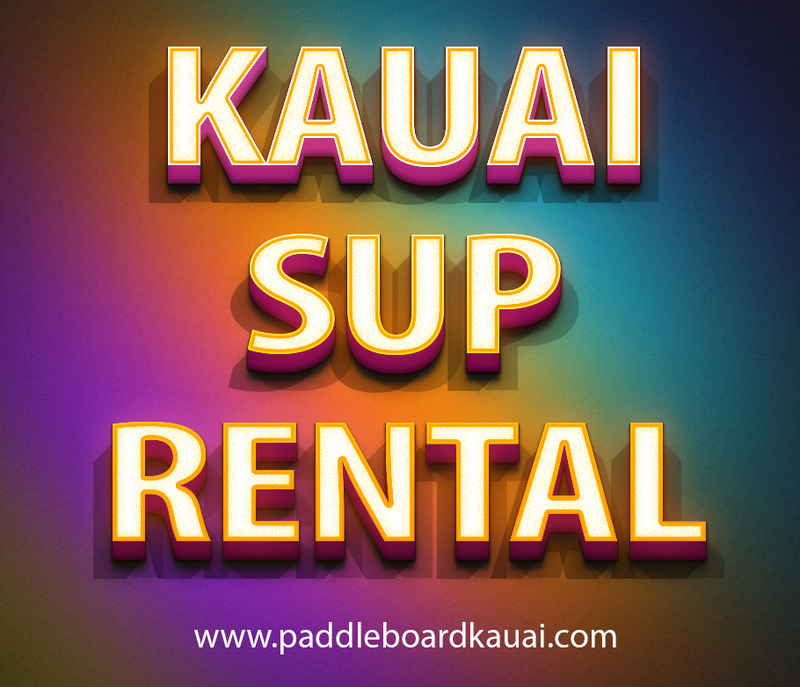 Visit Here for getting more information related to Kauai Paddle Boarding .